There are many things peculiar about the Islam. During Ramadan, Muslims observer strict fast and involve in pious activities such as charity and peace-making. It is the time of intense spiritual renewal and at the end of Ramadan, there is a joyous three-day celebration. That is Eid-ul-Fit or “Festival of Fast-Breaking”. If you would like to invite your friends and relatives to Id-ul-Fitr, then you might want to try Yoovite.com since we offer you an excellent online invitation tool by which you can invite your loved ones. Eid on the first day of Shawwal and there are many activities that you can involve in during this festive time. You can give charity to those who need, celebrate with family and spend time praying. You can determine the amount you need to spend for donation during this season and start saving beforehand. This donation called Sadaqah-ul-Fitr It need not be money. It can be food also such as rice, barley, dates, etc. The idea is to give the needy a good holiday meal so that they can participate in the celebration as well. You can go out with friends and relatives for shopping as well. You should wake up early, take bath and wear new clothes. 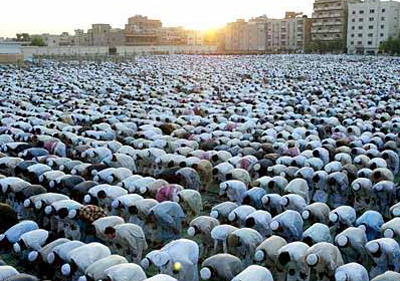 And gather early in the morning in the outdoor locations or mosques on the day of Id-ul-Fitr for the Id prayer. It consists of a sermon followed by a congregational prayer. You can scatter to visit your family and friends after the prayer. You should give gifts to the children in your family and friend circle and make phone calls to all loved ones who couldn’t come on the day. These activities continue for the entire 3-days period. The Id prayer on this day is called Takbeerat and it is done in congregation. Eid prayer ceremonies are organized in all the mosques, where Muslims gather and recite the Takbeerat in congregation. The main rituals related to Id have remained unchanged for centuries, though different nations celebrate it in their own way. Food in this India festival is filled with enthusiasm. Your breakfast usually will consist of dates and you have it before going to the mosque. 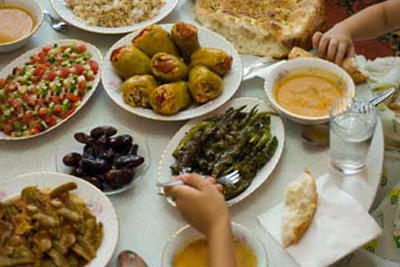 On this day, delicious mouth-watering recipes are cooked by women and are served to friends and relatives. Eid a fitr is a grandiose festival that manifests itself in fireworks witnessed in many places. After the long fast, you will anyway be in a mood to celebrate and completely indulge in festivities. You can decorate your homes and call your friends. Even non-muslims can participate since your friend circle will obviously consist of many non-muslims. As Id-ul-Fitr is a public holiday, your friends won’t have any problems joining you on this special occasion. You can even find the shops elaborately decorated and in full festive spirit.